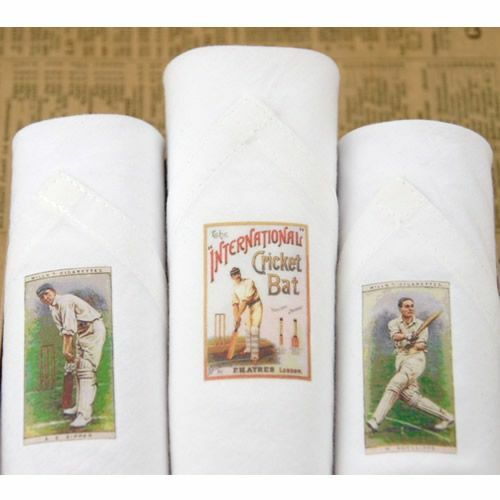 This is a nostalgic combination of gentlemen's handkerchiefs printed with Vintage Cricket images. 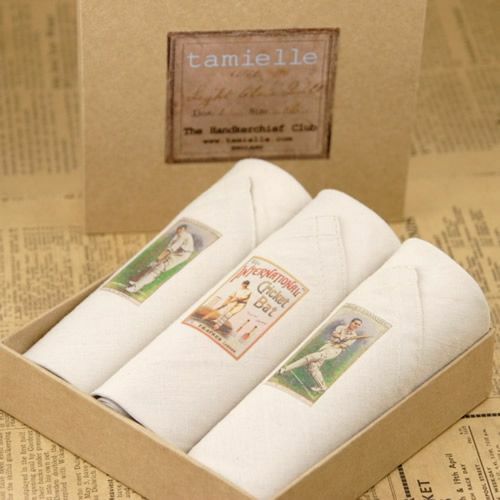 Each hankie is made of the softest cotton is hand packed and rolled into a gift box containing three hankies. Made of soft white cotton, each hankie is carefully printed with a nostalgic print. An ideal gift for birthday's, Father's Day, Christmas present or as a stocking filler.